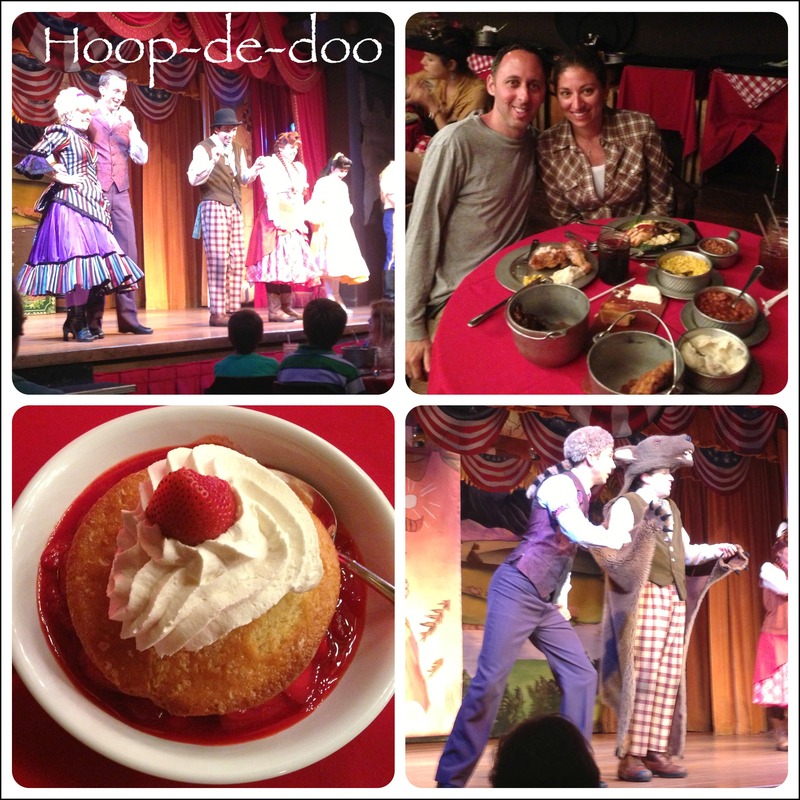 Our quick Walt Disney trip went by way too quickly (as most Disney trips do! ), but we had a great time and I thought I’d share some pictures of our weekend! Unfortunately our flight leaving NY was delayed several hours due to weather so we ended up not being able to make it to our reservation at The Wave on Thursday night. Instead we ended up walking over to Downtown Disney (love that you can walk there from Saratoga Springs!) 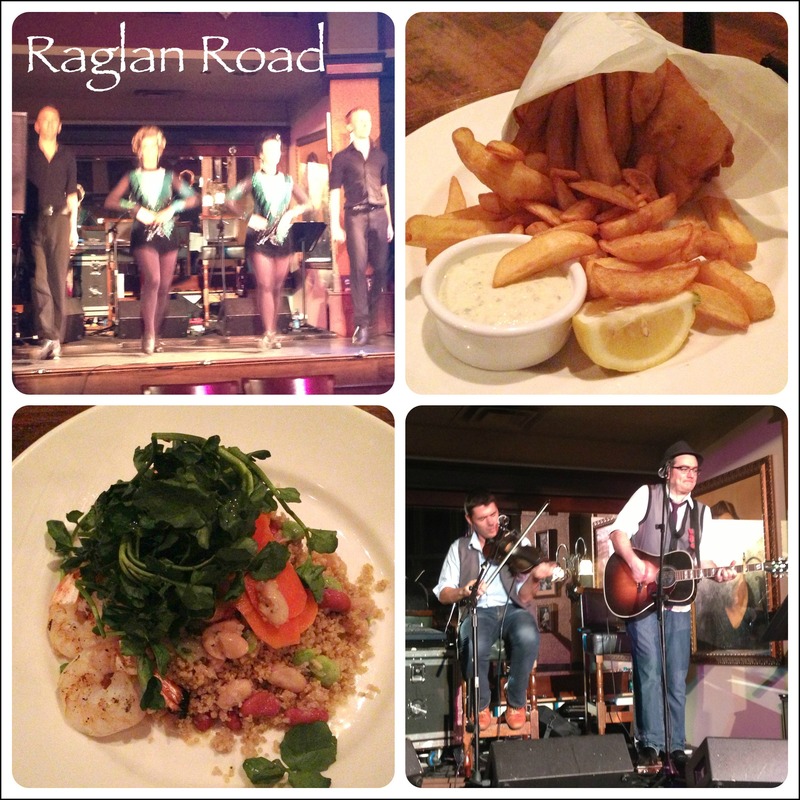 where we went to Raglan Road. …and of course after a few rides we stopped for a Dole Whip! 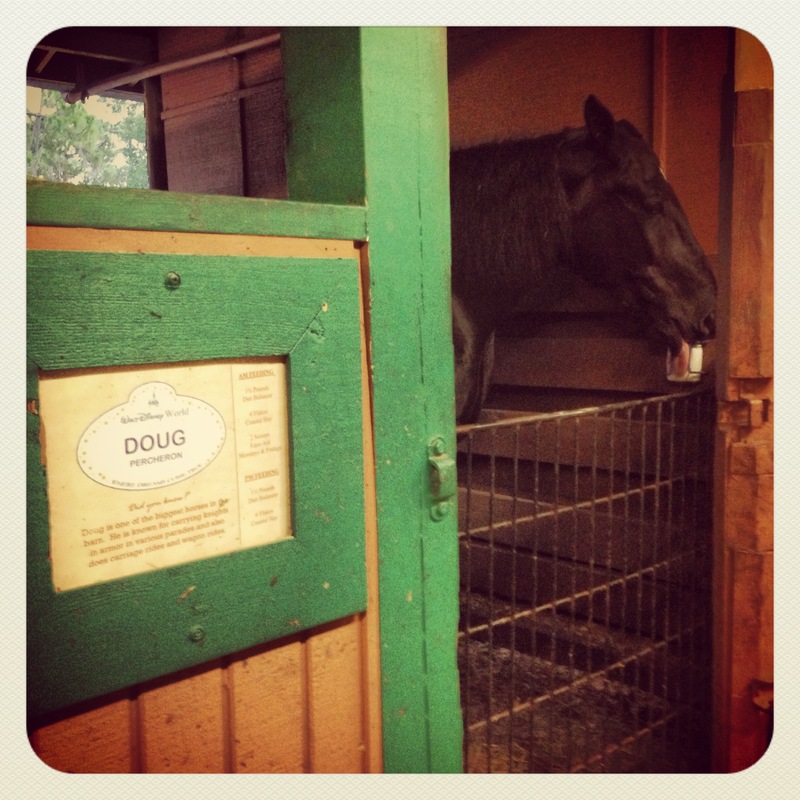 we stopped to visit the horses at the Tri-Circle D Ranch! The next day we got to go to the new Starbucks at the Magic Kingdom! and ended the night with dinner at Jiko at Animal Kngdom Lodge! (Can you tell a lot of our Disney trips revolve around food?? 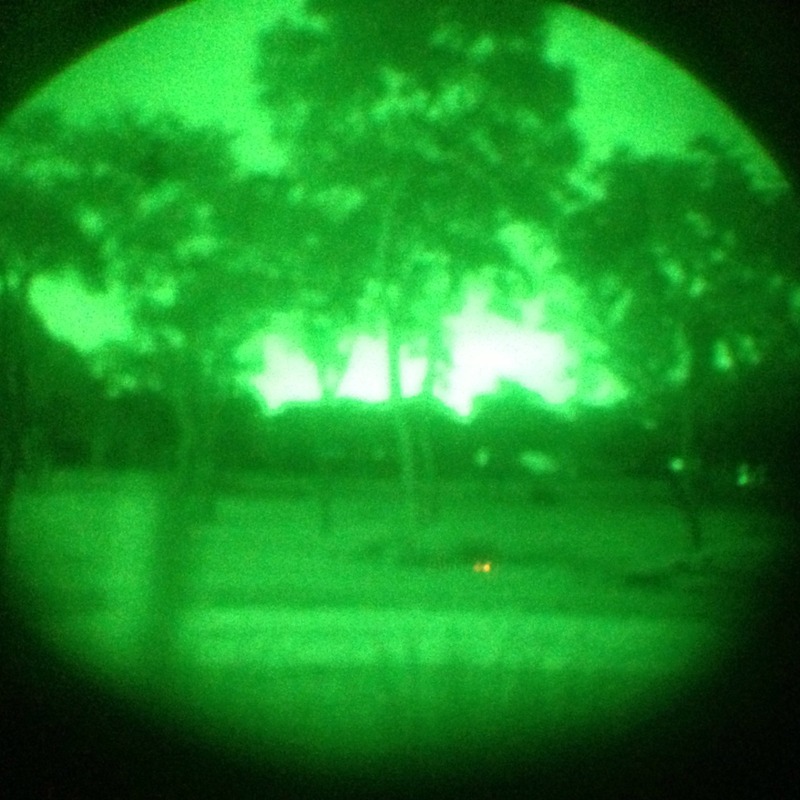 While at Animal Kingdom Lodge we got to look for animals with the night vision goggles! 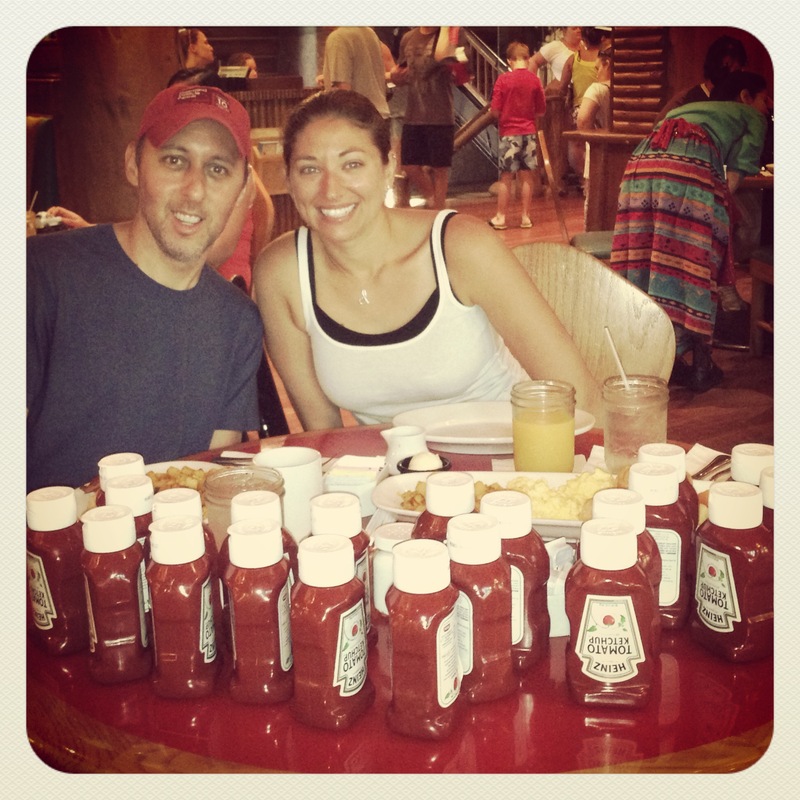 …if you’ve never been there ask for ketchup and see what happens! 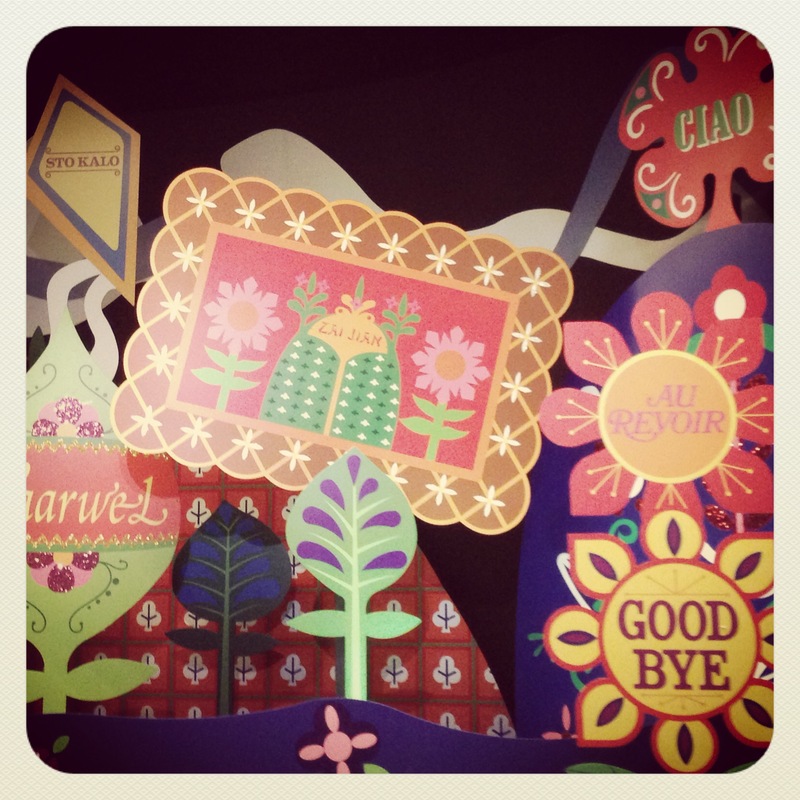 And with that we said Good Bye! we’ll be headed to Disneyland in August for the Disneyland Half Marathon! 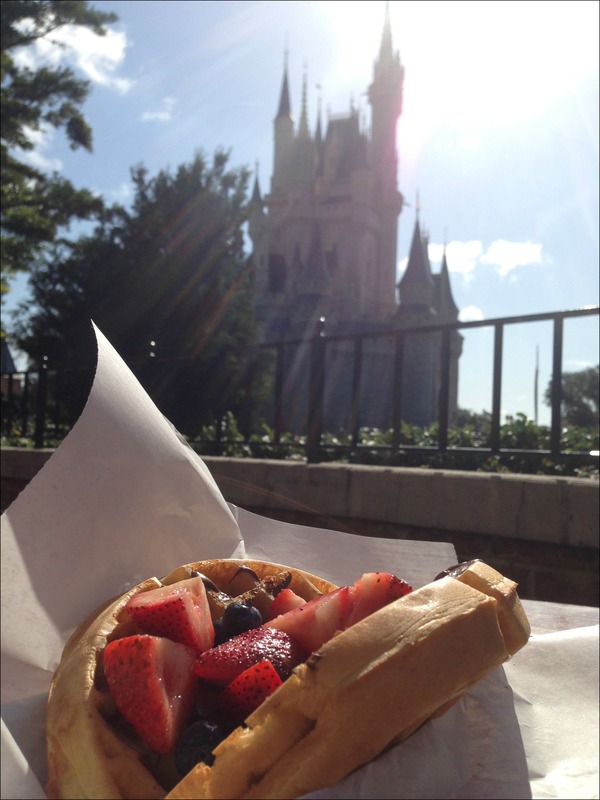 What’s your favorite Disney restaurant or snack?? Yeah! Can’t wait for DL and W&D to eat them all! Fun!! And um, how did I not know there are waffles with nutella?! I need to try that!! I do love Mickey ice cream!! I can’t wait for Disneyland!!!! Oh my goodness, the nutella and fruit waffles are AMAZING! They’re totally an underrated Magic Kingdom treasure – they’re at Sleep Hollow which is immediately on your right when you walk into the Liberty Square area. Haha, and I one day would love to take a trip to Australia! Hope you do make it over here for a race one day, the Disney races are a lot of fun! Looks like you had a fabulous weekend at WDW! 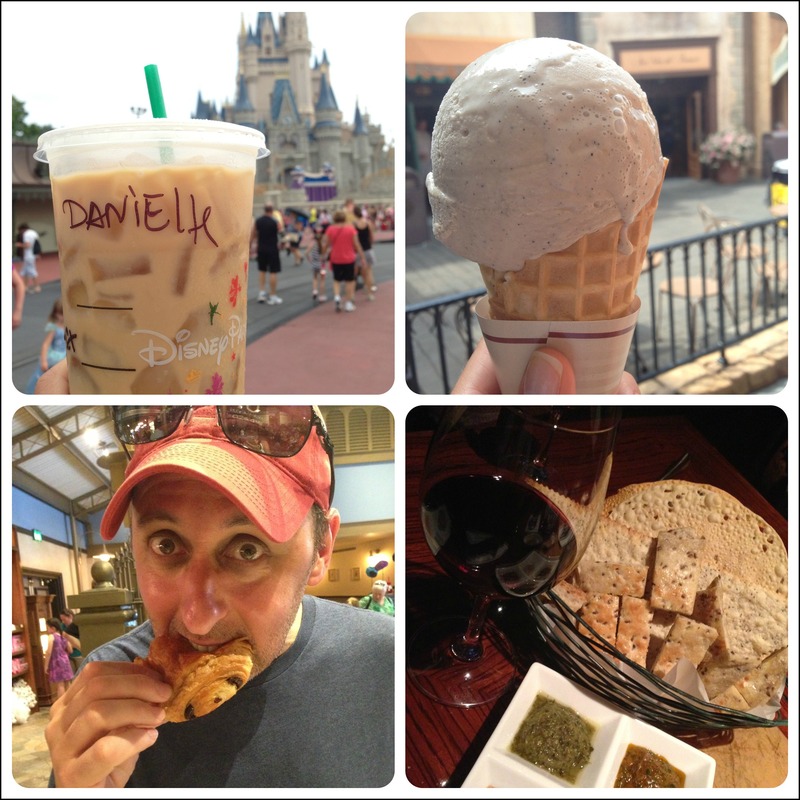 I love the popcorn, Mickey Bars and of course Dole Whips….can’t wait for the Dumbo Challenge! Mmmm…I love popcorn and it always smells so good when you’re walking around the parks! What an great way to end your trip though! And I can’t wait to hear how Aulani is! P.S. we need to discuss how you want me to pay you for the 10k bib! I can either send you a check or I can just give you $ out at Disneyland, let me know what you prefer! It’s been so long since I have been there but when I was like 12 and we went to a restaurant that turns while you are eating in it and it is family style. I am pretty sure it was in Epcot but I thought it was the most awesome thing ever!! So glad you had such a fantastic trip! Oh, yes, that is at Epcot! It’s called Garden Grill, I went there in December! OMG, I should not have read this post. Now I’m starving. Ha!! 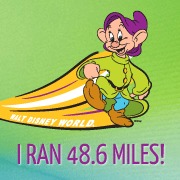 I really wish I had registered for Dopey this year!! I’m committed to registering for 2014!!! So fun! 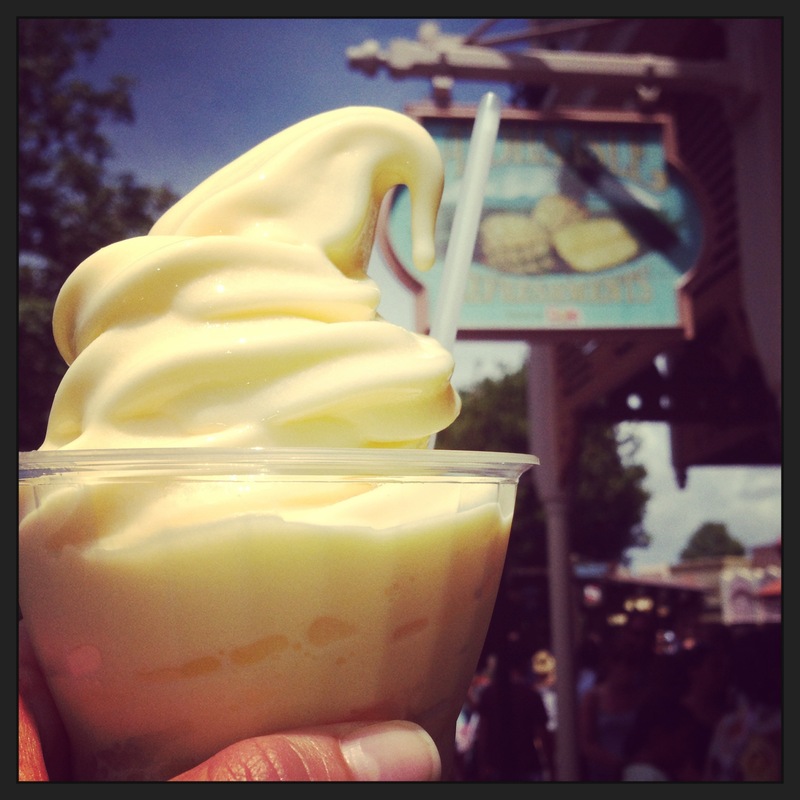 Fave Disney snack: Dole Whip! Fave Disney restaurant: Flying Fish Cafe on the Boardwalk. Oh, I haven’t been to Flying Fish! There are just so many good restaurants I have no idea how I’ll ever get to them all! There are so many I haven’t been to too. I try to hit a new one or two each trip.